Unless you have been living under a rock you are bound to have seen a BowFlex TreadClimber commercial. BowFlex probably spends more money for TV advertising than any other fitness equipment manufacturer. The promotions are enticing where they claim you can get maximum results in minimum time. At Fitness-Equipment-Source.com, it is not only our job to review the quality of fitness equipment, but also to clarify some of the claims the manufacturers make. To do this, we even had the chance to speak with several of Bowflex’s top engineers to hear about their design philosophy. With the BowFlex TC200 TreadClimber, the company over exaggerates the results, but then most fitness equipment companies do. However, the BowFlex TC200 and the TC100 do offer some impressive benefits that will help you to achieve your fitness goals. These benefits help make this one of the most popular machines in the industry! Weekend Sale Ends Monday: The TC200 is on sale, make sure to use the promo code listed on the Bowflex website Use Code “TAX2019” for $500 OFF and FREE Shipping on the TC200! 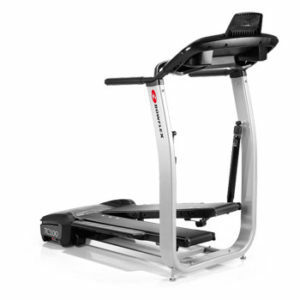 Low Impact Workout – We feel one of the most impressive features of the BowFlex TC200 is that you get a very serious cardio workout without the stress and strain that comes from running. The machine is designed with individual treadles. They are like mini treadmills for each foot. They rise to meet your feet as you walk, which reduces impact to your lower joints and your back. In addition, you do not run on this machine, but walk. That significantly reduces the impact. During our interview, the Bowflex representatives equated a walk on the TC200 to a walk in deep sand at the beach. The TC200 is designed to burn more calories with a lesser sense of exertion. Now the commercials claim you will burn 4x more calories on a treadmill. But they are comparing walking on a treadmill while it is level. If you were to run on a treadmill at a high incline you will burn comparable calories, but you will also increase the shock and impact to your body. 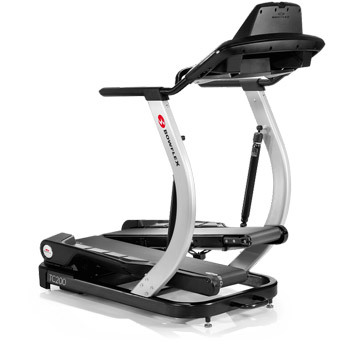 Bluetooth Compatible – The TC200 is Bluetooth compatible so that it can sync with the FREE Bowflex Treadclimber app. This is an excellent feature that helps Bowflex compete with other brands that also have this technology. Set your goals, track your workouts, and make better progress towards your goals with this system. Compact Design – The BowFlex TC200 TreadClimber is one of the most compact cardio machines in the industry, and it is considerably more compact than a treadmill. The length is only 55”, typically a treadmill over $1,000 is 64” or more. Warranty – With the TC200 you get 3-years coverage for the entire machine. With a treadmill or elliptical trainer you typically get at this price lifetime motor, 5-year parts but only 2-years labor coverage. Labor can be the most costly part of a service call. Beyond the hype the BowFlex TC200 TreadClimber really does succeed in assisting people in losing weight and getting back into shape, and you accomplish it with a low impact workout. However, they are comparing apples to oranges with treadmill workouts at a walking pace on a level incline. But the low impact exercise and the compact design make the TC 200 appealing. And there are literally tens of thousands of people who have bought the TC200 TreadClimbers and are very satisfied customers, in fact many are devotees. However, you need to consider the price and how that compares to other fitness equipment options. At around $3,000 you can get some impressive cardio machines that are almost commercial grade for the home. We believe the BowFlex TC200 TreadClimber has some impressive benefits that warrant consideration, and the feedback for customers is overwhelmingly positive. However, when spending this kind of money you want to do your research and that is what we are here for. 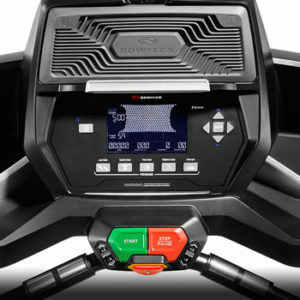 You may also want to check out the less expensive Treadclimber TC100 or a full comparison chart of all Bowflex machines.